Medsoto GmbH is present at many events in the industry. Whether as an exhibitor, speaker or conference leader, we are involved in highly interesting events in the medical device environment. Take the chance and visit us there! You can arrange an appointment with us via our contact form. We are starting the new webinar year with a new format: The “Polarion Consultation Hour”. You specify the topics for this webinar: Ask us everything you always wanted to know about Polarion. We will ask for your impulses when you register for our webinar. We sort your questions and crystallize the main topics. We will send you an agenda with the main topics a few days before the webinar so that you can get an idea of them. – can Polarion be used as a document management system? – what are the “performance killers” in Polarion? – what are proven, audit-proof workflows for documents and work items? – Polarion and JIRA – what for? – can I map my process instructions in Polarion? – why do I use Permissions and Access Management? – I want to introduce Polarion – How do I find out how many and which license types I need? – what does my auditor say about direct access via SVN? – what validation effort is required for Polarion? – what does the performance of Polarion look like with large amounts of data/many users? – why not do without Polarion Maintenance? – what is your experience with Polarion SaaS / Cloud? – is Polarion Part 11 compliant as advertised? – what is the difference between the different Polarion licenses? – what does the planned upgrade to Open JDK 11 mean for my Polarion installation? – many of our reports run as Classic Wiki Page, which is now called “Depricate” / “not recommended”. What do I have to expect in the future? – Polarion partly relies on outdated technologies such as older PostgreSQL versions. How can we guarantee our IT security? – when do I have to validate Polarion and when can I talk my way out? – which parts of the technical documentation of my medical device can I use Polarion for, which parts should I handle separately? – our supplier / customer also works with Polarion. How can we link (and evaluate) the data of the two Polarion servers without disclosing trade secrets? To register for the webinar and enter your questions, please click here. Please note: Registration is only possible up to and including 13 February. Would you like to receive regular information about our webinars and events? Then subscribe to our newsletter – click here. Medsoto will be represented with a booth at the 12th medical.device.forum of TÜV SÜD. The symposium will deal with the adoption of the European Medical Devices Regulation. What changes will all market participants face regarding approval, processes, products and monitoring of medical devices? Government representatives, experts from TÜV SÜD and medical device manufacturers will present the most important regulatory areas and show possible concepts for efficiently implementing the new regulatory requirements. During the breaks, we look forward to a visit to our stand and an exciting exchange of ideas. Further information, including the programme, can be found on TÜV SÜD’s website. 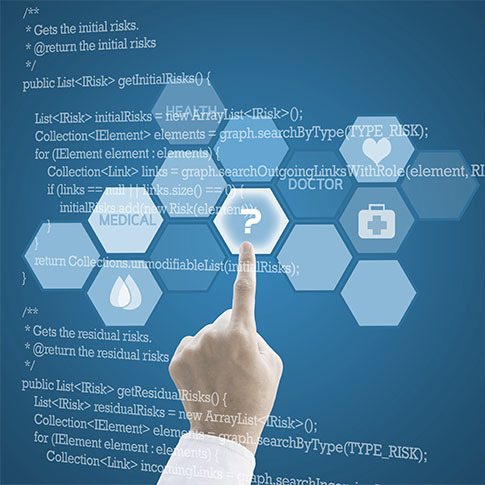 On the 15th of May the VDE organizes an event in Frankfurt on the subject of Medical Software. Medsoto will be there with an exhibitor stand. This year’s event is bilingual (German and English). The speakers will be dealing with topics such as risk management, quality management, post-market clinical follow-up (PMCF) and technical documentation. Of course, we are also at your disposal for questions and discussions at any time. Visit us at our booth – we look forward to meeting you! Those who register and book their ticket on the VDE medical platform by 15 April will receive free admission. Further information can be found on the event page. Medsoto Managing Director Sven Wittorf will be a speaker at the 2nd Forum Risk Management Medical Devices. On Tuesday, 14 May, he will speak at 9:30 am about “The first cut is the deepest – How interfaces of risk management can become junctures”. In terms of content, he will thus address the “big issues” in the development of medical devices, the connection with risk management and the thematic interfaces between these issues. The Medical Devices Risk Management Forum is aimed at FMEA experts, interested developers and manufacturers of medical devices and will take place from 14 to 15 May 2019 in the Nopvotel Hotel Nuremberg. The event is organized by DIETZ Consultants, a global provider of consulting and services for best practice solutions in the fields of quality and risk management. Further information on the event can be found on the DIETZ Consultants website. During the webinar, our experts will of course be available to answer your questions in the chat. Please register in time as the number of participants is limited. Medsoto will again be on board in 2018 when the medical technology industry meets in Munich. Medsoto will be present at the 11th MedConf with a booth and a lecture. Over the past 10 years, MedConf has established itself as one of the largest networking platforms for companies in the medical technology sector. According to the organizer, the medical technology conference will shine with a completely new format in 2018. Interactive elements will be increasingly integrated and more space will be available for networking. MedConf will deal, among other things, with standards and guidelines, device development and networking (IoT), risk management in medical technology, medical apps and artificial intelligence in medical technology. Further information can be found on the MedConf website.